WordPress version 5.0 is due out in November. With this update comes one of the biggest changes to the WordPress core for many years — a brand new editor — named, Gutenberg. Update: the release of WordPress 5.0 has been postponed to Tuesday, November 27th. The release of WordPress 5.0 has been delayed further. At time of writing, no new date has been set. It will likely not be released until early 2019. The Gutenberg editor, showing the “blocks” interface. 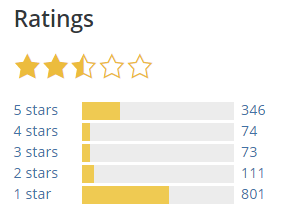 To be fair, many of those 1-star ratings are from the early days of Gutenberg development — it has come along way since then and many that were against it have since come around. However, there are still many opponents, and many more nervous developers — expecting the worst — like some kind of WordPress-meets-Y2K. Much of the remaining concern is around the fact that Gutenberg is being forced upon WordPress users. There’s no option — when you install WordPress 5.0 — you get Gutenberg. If you want to stick with the Classic Editor, you need to install a plugin (more on that later). Also, the fact remains — when upgrading to WordPress 5.0 — many sites, particularly those with page builders and custom metaboxes may suffer some loss of functionality, or completely break. WP NET has intentionally stayed quiet about Gutenberg. We thought much of the commotion was premature, and a lot of the early objections and panicked reactions have now been resolved or addressed. Now, here we are in late October and Gutenberg (currently available as a plugin) is nearly here. WordPress 5.0 is currently due for release on November 27. The current WordPress editor is desperately overdue for an update. To compete with site builders such as Wix and Squarespace, WordPress must evolve. The current editor is really, really old and not very intuitive. Ever tried explaining shortcodes to a client? If we can put the compatibility and other issues aside for a moment — the Gutenberg editor is fantastic. It’s fast, easy to use and makes the WordPress editing experience feel “modern”. While Gutenberg is not a page builder — such as Composer, Beaver Builder, Divi or Elementor — many are still confused as to how the two will co-exist on a WordPress site (and rightly so). When WordPress 5.0 is released, many sites will break, or experience problems of some sort. Website managers and developers will have a headache for some time. At WP NET, we look after hundreds of WordPress sites and our top priority is keeping our customer’s sites secure and operational. While we do support the Gutenberg initiative and think that it will be good for WordPress, we do have our reservations about the release strategy. We think that when upgrading to WordPress 5.0, switching to Gutenberg should be optional. 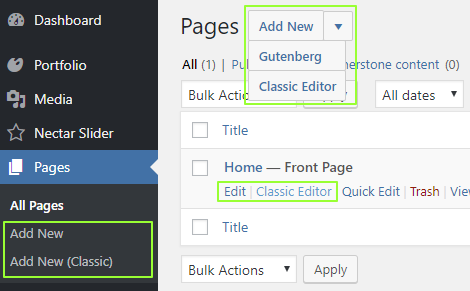 For fresh installs, Gutenberg could be enabled by default, with a simple option to switch back to the Classic Editor. Why not just keep Gutenberg and the Classic Editor in core, and let users decide which one to use? Once the user community, plugin and theme authors have gotten used to Gutenberg, then look at retiring the Classic Editor. Obviously, the WordPress creators don’t share this view (and they have some pretty good reasons), so .. we must prepare. Note: the terms “Gutenberg” and “Block editor” refer to the same thing. Currently, the Block editor is only available via the Gutenberg plugin. Once it’s merged into WordPress core, it will be known simply as the “Block editor”. On WordPress versions earlier than 5.0, the Classic Editor will have no effect. On WordPress 4.9.x, if you have the Gutenberg plugin installed and activated, the Classic Editor plugin will render Gutenberg inactive. 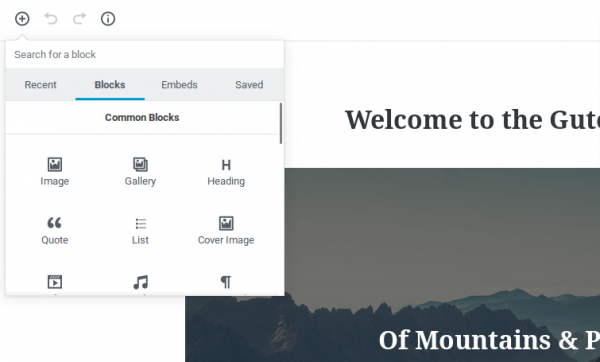 On WordPress 5.x, the Classic Editor plugin will render the Block editor (Gutenberg) inactive. Depending on the results of our internal testing, WP NET will most likely hold off updating customer’s websites until the release of version 5.0.1. This is our standard policy. Customers are welcome to update to WordPress 5.0 at any time. However, please take some time to read and learn about Gutenberg (see below) and check whether your theme and plugins support Gutenberg. If you do upgrade to WordPress 5.0, we recommend leaving the Classic Editor plugin installed and setting the option to “Use the Block editor by default…” (see below). This will likely be some time after the release of WordPress 5.0.1, but is dependent on testing and customer’s response to the Block editor. With the Classic Editor plugin set as per above, there is simply no trace of the Block editor. The editing experience should be identical to earlier versions of WordPress. Here’s a few themes and plugins that are blazing a trail and embracing Gutenberg. Check ’em out. If you’re a WP NET customer and have any questions or concerns about WordPress 5.0 and Gutenberg, please get in touch by opening a support ticket.